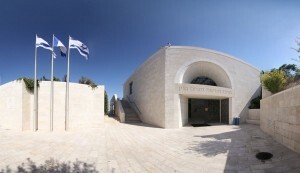 To find out whether you require a visa to Israel, please consult the web page of the Israel Ministry of Foreign Affairs: http://mfa.gov.il/MFA/ConsularServices/Pages/default.aspx. If you require a visa, please contact Suzie Eid <suzie@ef.technion.ac.il> as soon as possible, to request an invitation letter. International flights land at the Ben Gurion Intl. Airport (TLV) near Tel Aviv. 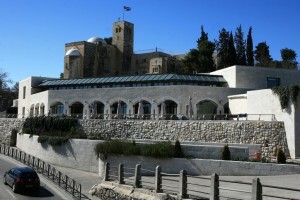 The airport is 12 miles (20 km) southeast of Tel Aviv, and 50 km (31 miles) northwest of Jerusalem. Local time in Israel is GMT + 2 hours. Note: Some airport and public transportation services are limited on the Sabbath, between Friday from about 5:30 P.M. to Saturday at 6:30 P.M. Some information on the transportation options can be found here (the prices maybe a bit out of date). There is no available parking at the Begin Heritage Center. Nearby free parking is annotated on this map of DISC 2013 location, area hotels and points of interest. At the nearby HaPa’amon Garden, there is one metered lot and one free parking lot. On Derech Hevron, there is a free parking lot across the street from Mt. Zion Hotel. On Derech Beit Lechem, there is free parking along the street and on crossing streets. Metered parking is also available at Mishkenot Sha’ananim. Note: a blue and white curb indicates that parking is metered. Parking is free along an unpainted curb.